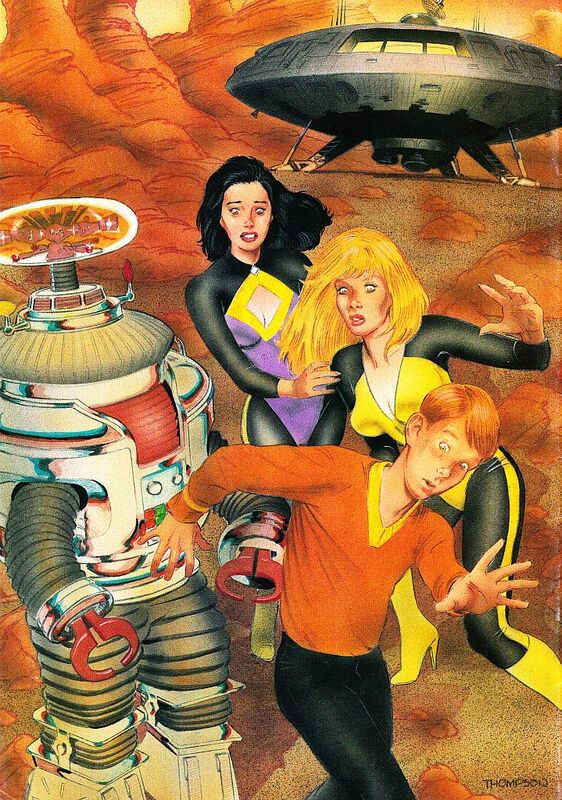 Lost in Space was a comic book published by Innovation Comics, based upon the television series Lost in Space. It utilized the settings and characters from the series, but was set years after the end of the series, and featured older characters coming to terms with being cut off from Earth for so many years. HistoryIn the 1980s, Bill Mumy (who played Will Robinson on the series) had tried, and failed, to convince Irwin Allen to allow production of a Lost in Space film for theatres or TV. In 1991, a fledgling publisher called Innovation Comics began to produce an ambitious, high-quality Lost in Space comic, which was authorized and licensed. It was scripted by Mumy himself, and his intention was to reflect the more serious tone of the first season episodes, but this was somewhat undercut by artwork that sexualized the characters of Judy and Penny Robinson, prompting some exasperated notes from Mumy in the editorial pages. The comic also established a romantic triangle between Judy, Penny (now depicted as someone in her late teens), and Don that was not present in the original series. Lost in Space was Innovation's best selling property, outselling all their other comics combined. The comic only managed to run for 18 issues, 2 annuals and 1 of 2 issues of a miniseries however, but not because of poor sales. Innovation's ambitious projects couldn't keep ahead of their bottom line, and the company went out of business. While this left a major story arc unresolved, a trade paperback entitled "Voyage to the Bottom of the Soul" was later published, completing the story.